Oleic acid is a fatty acid that occurs naturally in various animal and vegetable fats and oils. It is an odorless, colorless oil, although commercial samples may be yellowish. In chemical terms, oleic acid is classified as a monounsaturated omega-9 fatty acid, abbreviated with a lipid number of 18:1 cis-9. It has the formula CH3(CH2)7CH=CH(CH2)7COOH. The term "oleic" means related to, or derived from, oil of olive, the oil that is predominantly composed of oleic acid. Oleic acid is an unsaturated fatty acid that is the most widely distributed and abundant fatty acid in nature. It is used commercially in the preparation of oleates and lotions, and as a pharmaceutical solvent. Oleic Acid is manufactured from fats and oils derived from edible sources, animal or vegetable, and consists chiefly of (Z)-9-octadecenoic acid [CH3(CH2)7CH:CH(CH2)7COOH]. It may contain suitable stabilizers. NOTE: Oleic Acid labeled solely for external use is exempt from the requirement that it be prepared from edible sources. derived from animal or vegetable sources. Indicate the names and quantity of any added stabilizers. Specific gravity: between 0.889 and 0.895. 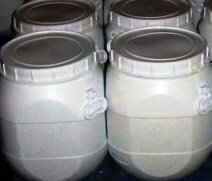 Congealing temperature: between 3 and 10 for Oleic Acid derived from animal sources; between 10 and 16 for Oleic Acid derived from vegetable sources. 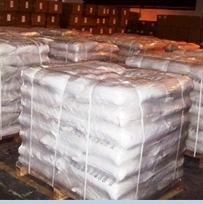 Acid value: between 196 and 204, about 2 g, accurately weighed, being used. Iodine value: between 85 and 95. Residue on ignition: not more than 1 mg (about 0.01%), from a 10-mL portion. Mineral acids: Shake 5 mL with an equal volume of water at a temperature of about 25 for 2 minutes, allow the liquids to separate, and filter the water layer through a paper filter previously moistened with water: the filtrate is not reddened by the addition of 1 drop of methyl orange. Neutral fat or mineral oil: Boil 1 mL with about 500 mg of sodium carbonate and 30 mL of water in a 250-mL flask: the resulting solution, while hot, is clear or, at most, opalescent. (Z)-Octadec-9-enoic acid (C18H34O2; Mr 282.5), together with varying amounts of saturated and other unsaturated fatty acids. A suitable antioxidant may be added. Content: 65.0 per cent to 88.0 per cent of C18H34O2. Appearance: Clear, yellowish or brownish, oily liquid. Solubility: Practically insoluble in water, miscible with alcohol and with methylene chloride. A. It complies with the test for acid value (see Tests). B. It complies with the test for iodine value (see Tests). C. It complies with the test for composition of fatty acids (see Tests). Margaric acid: Maximum 0.2 per cent for oleic acid of vegetable origin and maximum 4.0 per cent for oleic acid of animal origin. Appearance: The substance to be examined is not more intensely coloured than reference solution. Acid value: 195 to 204, determined on 0.5 g.
Iodine value: 89 to 105.
fatty acids of chain length greater than C18: maximum 4.0 per cent. Total ash: Maximum 0.1 per cent, determined on 2.00 g.
The label states the origin of oleic acid (animal or vegetable). Oleic Acid occurs as a colorless to pale yellow, oily liquid when freshly prepared, but upon exposure to air it gradually absorbs oxygen and darkens. It is an unsaturated acid obtained from fats. When strongly heated in air, it decomposes and produces acrid vapors. Its specific gravity is about 0.895. It is practically insoluble in water, but is miscible with alcohol, with ether, and with fixed and volatile oils. 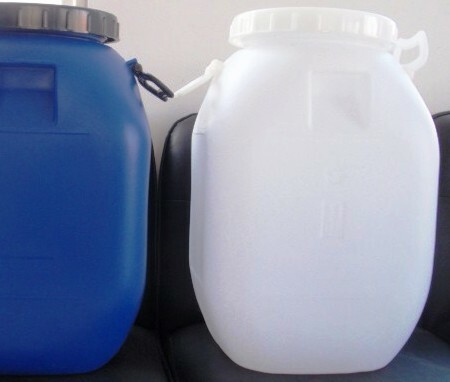 Function: Component in the manufacture of other food grade additives; defoaming agent; lubricant; binder. Acid Value: Between 196 and 204. Iodine Value: Between 83 and 103. Lead: Not more than 0.1 mg/kg. Residue on Ignition: Not more than 0.01%. Saponification Value: Between 196 and 206. Titer (Solidification Point): Not above 10°. Unsaponifiable: Matter Not more than 2.0%. Water: Not more than 0.4%.